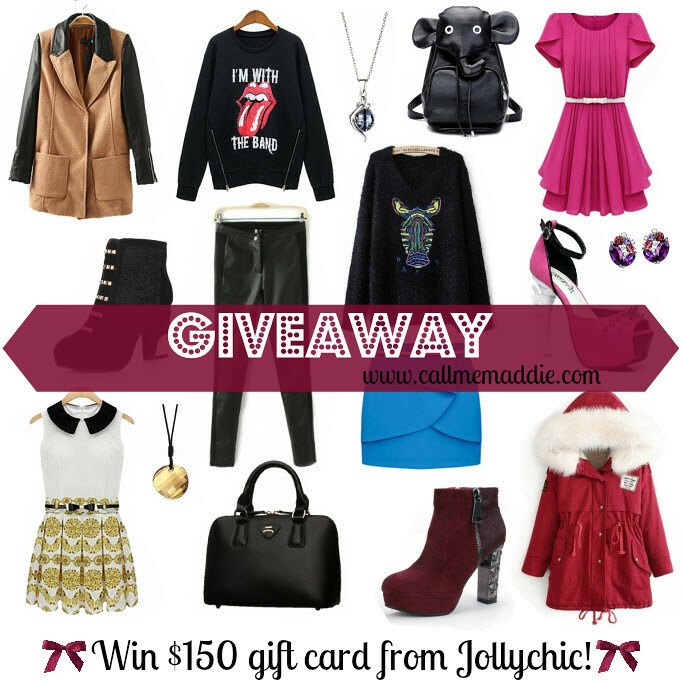 $150 International giveaway with Jollychic! I am very excited to announce a giveaway on my blog! A little while ago an online shopping store Jollychic contacted me and asked whether I would like to partner up with them & host an awesome giveaway on my blog for my lovely readers ( that’s you!) 🙂 It was impossible for me to refuse this kind of opportunity as one of my blog readers will receive a $150 gift card to spend on Jollychic’s store! I think this prize is perfect, especially before the upcoming holidays, as you will have the chance to buy new additions to your wardrobe just before Christmas & NYE! For those of you who don’t know what this online store is, it is called www.jollychic.com and they offer, as they state, thousands of popular garment brands at reasonable prices. And as I have checked their site I can only agree with what they state, because the prices are definitely reasonable and I can only imagine how much variations of clothes/shoes/bags/accessories you can buy with $150! And that is it! This giveaway runs till Wednesday, December 18th (12:00pm). The winner will be selected randomly and contacted by its given email address! How cute is that pink dress?! Love! Excellent giveaway, that pink dress and two-tone coat are fantastic. You are so kind to visit, hope your week in going wonderfully. Wow Maddie! This is a awesome giveaway!! <3 Thank you! Have a look at my new post "Who's who in Navy Blue"
Love your blog so glad your doing this! thanks so much i hope i win!!!! Done!! Thank you for inviting me!! Thanks for the invite.Hope to win.Happy Holidays!!! Lovely giveaway…keeping my fingers crossed cause winning would be the best Christmas present ever! Love and enjoy the last month of the year! This is so amazing! Thank you for giveaway! Wooow this is amazing… !! Thanks Maddie for your email. I'm already a fan! Oh this is a awesome Giveaway! Good Luck to Everyone"
I've been very curious about the quality of clothing on Jollychic. 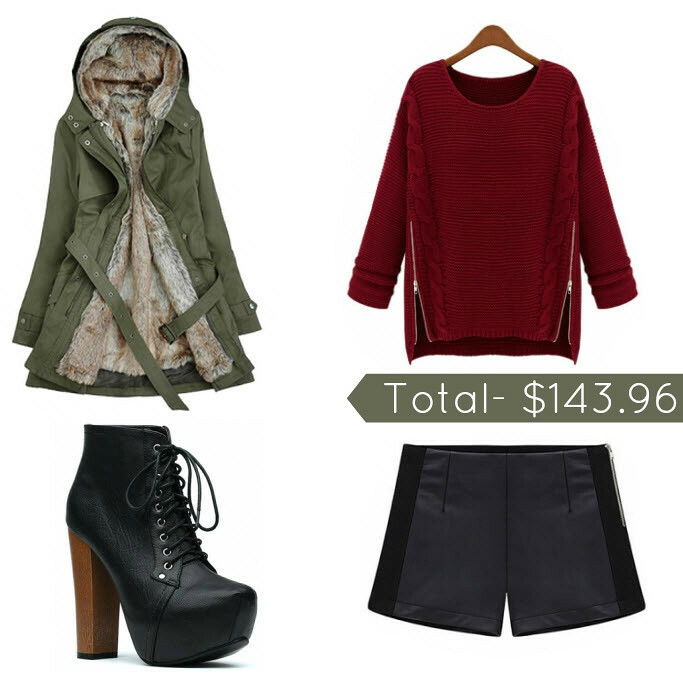 They hsve some great items and prices! My email is Ruybal.Natalia@gmail.com and my first name entering is Natalia R.
Nice giveaway Maddie, tomorrow I wil have one on my blog too! Thank you for the giveaway dear. thank you very much for the giveaway,great clothes!!! Thank you for this beautiful vgiveaway! I love this contest…. something new is always good! Thanks for a fun giveasway! And thanks for inviting me dear. Thank you for sharing this giveaway. My email is chami1995@abv.bg . What a great Giveaway – fingers crossed! Thank you so much honey!!! such a lovely giveaway, dear!